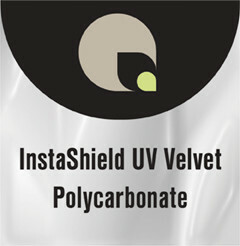 Polycarbonate for rollable graphics requiring superior protection and added rigidity. Perfect for tradeshow and photographic materials. Can be rolled without fear of tunneling or delamination. Material can be exposed to the most demanding show-floor lighting. Available in 5 mil, 10 mil, and 15 mil.